THIS CLASS IS ONLY FOR THOSE WHO ARE READY ON A MIND, BODY AND SPIRIT LEVEL TO TEACH AND TO PRACTICE REIKI ON A MASTER LEVEL. •	Be guided through four meditations, including a modified Taoist Microcosmic Orbit Meditation to open and clear the chakras and create a clear pathway for higher frequency energies. •	Learn about two Tibetan Reiki symbols which are used to pass attunements and intensify your healing work. •	Be introduced to an ancient healing and meditation symbol that has been used in Tibet and China for thousands of years. •	Learn about and practice the Hui Yin exercise. •	Receive the complete Master Teacher Attunement. •	Learn about and practice the Violet Breath for use during the passing of attunements. •	Learn and practice giving a complete Healing Attunement to yourself and others. 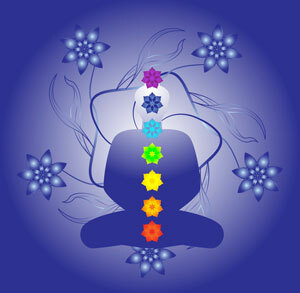 •	Be given the opportunity to give and receive a healing session using the Usui Master symbol. •	Learn and practice how to pass all levels of Reiki Attunements to others. •	Learn about and discuss the values and spiritual orientation of a true Reiki Master. •	Receive and review suggested class outlines for all levels of Reiki certification classes. •	Be given ample opportunity to ask questions and receive valuable information on how to organize and set up your own Reiki classes. •	Receive a class manual which summarizes the information covered in class. •	Receive a Certificate of Reiki Master Teacher completion. PRE-REQUISITES: Reiki Level I, II, AND IIIa. Must have taken ART at least 4-6 months prior. A VEGETARIAN LUNCH IS PROVIDED AS WELL AS HERBAL TEAS THROUGHOUT THE CLASS ON BOTH DAYS.